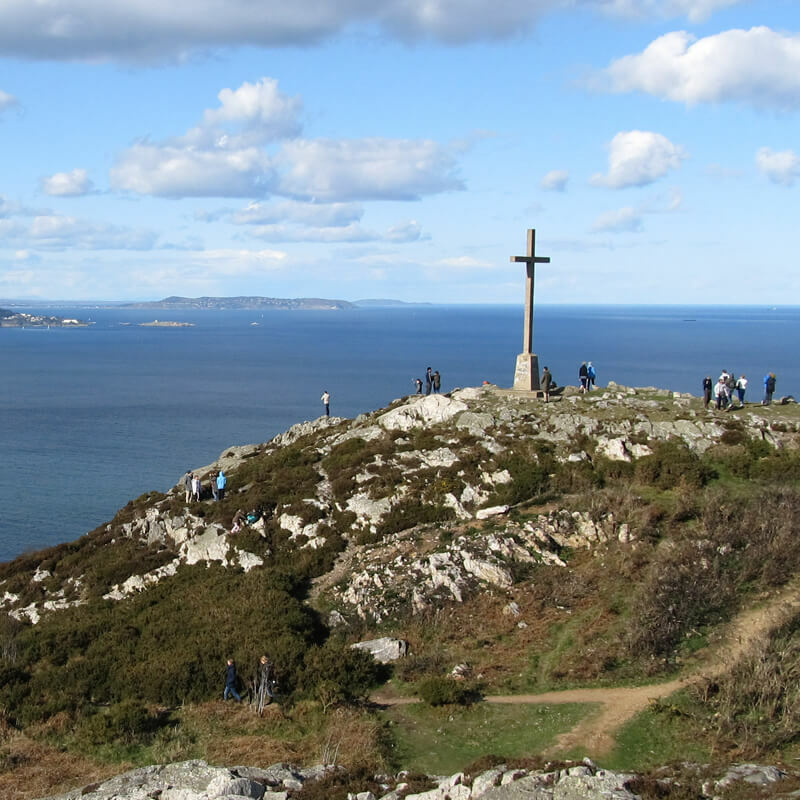 Marvel at natural wonders, explore medieval ruins and walk in footsteps of legendary heroes. 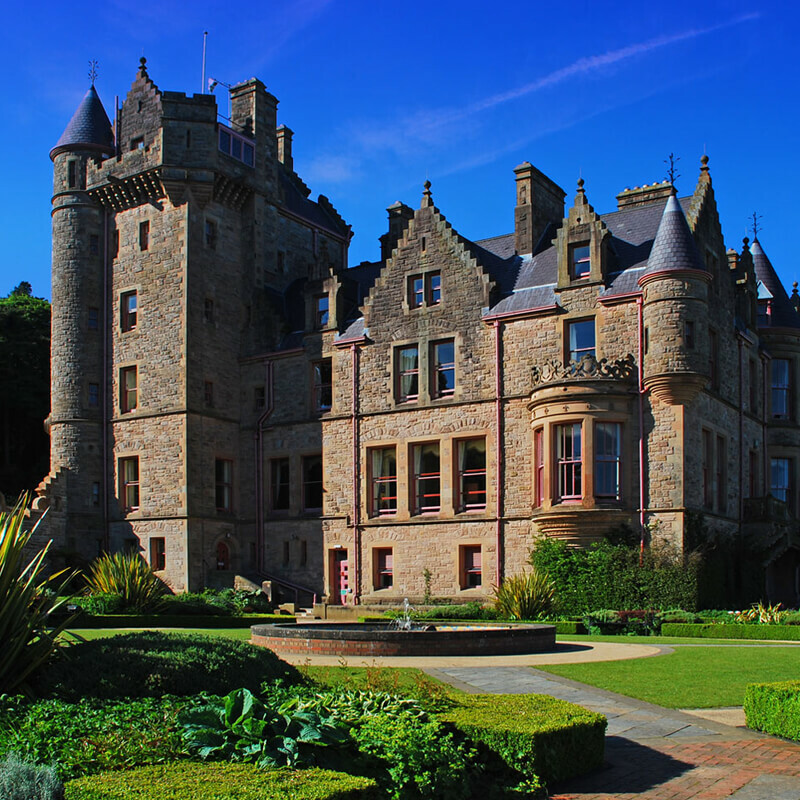 There are many possibilities for day or overnight excursions outside of Dublin. Here in the Valley of Two Lakes (that’s what “Glendalough” means), within the Wicklow Mountains National Park, you will come upon a sanctuary of stone. 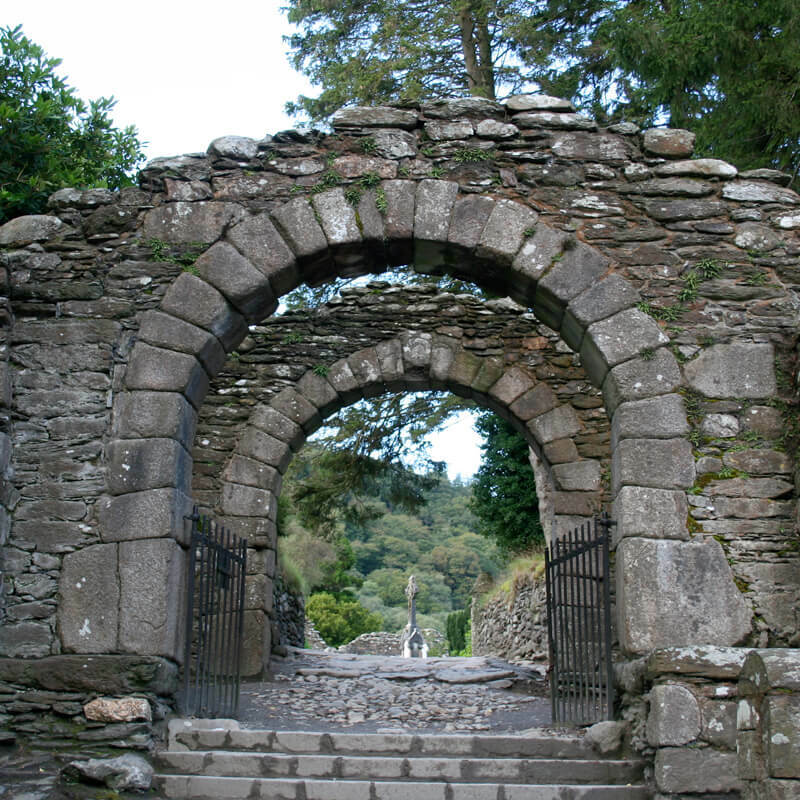 Glendalough is known as the Monastic City. St. Kevin founded it in the sixth century. Walk among ancient gravestones, through old stone churches, and around the 30-meter-high tower that served as watch tower, storehouse, and refuge during attacks. Then remind yourself that all of these stone structures would have been built by hand. Fun factoid: The gateway entryway has some of the original stone paving. The seaside town of Bray, just south of Dublin on Dublin Bay, boasts a Victorian promenade that serves as a prelude to the 241-meter-high Bray Head. Rare plants and sea birds are among the attractions of this hike, which is along one of the world’s oldest rock formations. Think 500 million years, give or take. Teddy’s ice cream parlour on the promenade isn’t nearly so old, but is also a draw. By now you will have made the acquaintance (posthumously) of Oscar, the Wilde child whose home is ACD’s central building. Oscar Wilde’s father built the Strand Hotel on the promenade. Forget the “new” in its name: Newgrange is at least 500 years older than the Pyramids of Giza and a good 1,000 years older than Stonehenge. 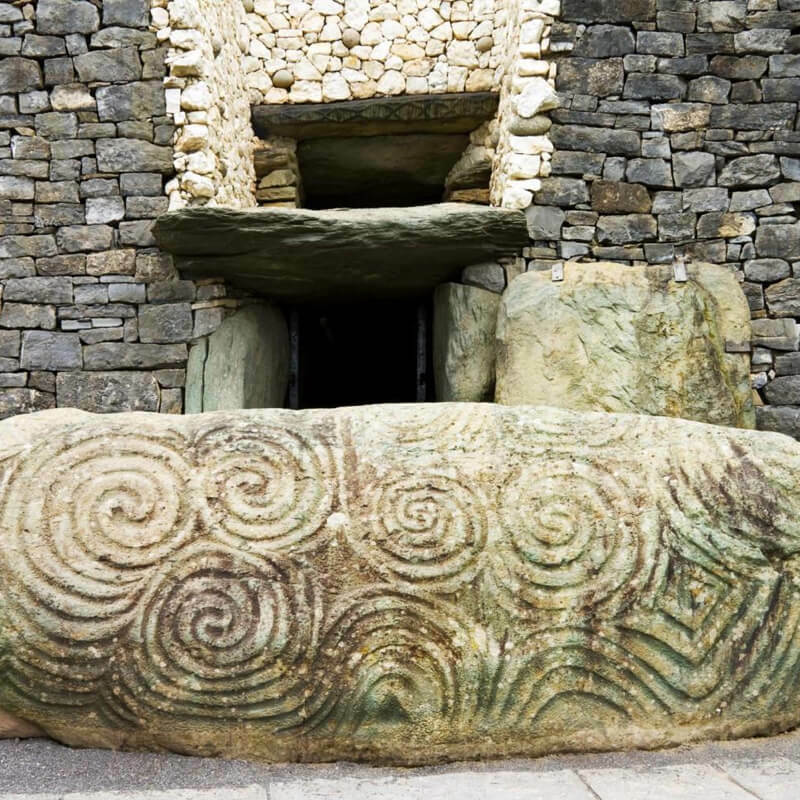 An ancient stone mound from 3200 B.C., Newgrange is known as a passage tomb and is believed to be a sacred temple. The foundations of Christianity would be laid very near to where this pre-Christian site holds its secrets. As if in anticipation, the interior passageway that leads to a chamber forms the shape of a cross. You won’t be the first to visit. The Romans came, and left coins. The Danes came and left nothing. But check out the art that’s carved on many of the stones. Fun factoid: One day a year, on the winter solstice, the sun lights both the passageway and the chamber. It’s Newgrange’s 17 minutes of fame. Think Grand Canyon, and then ramp it up even more heart-stopping notches. 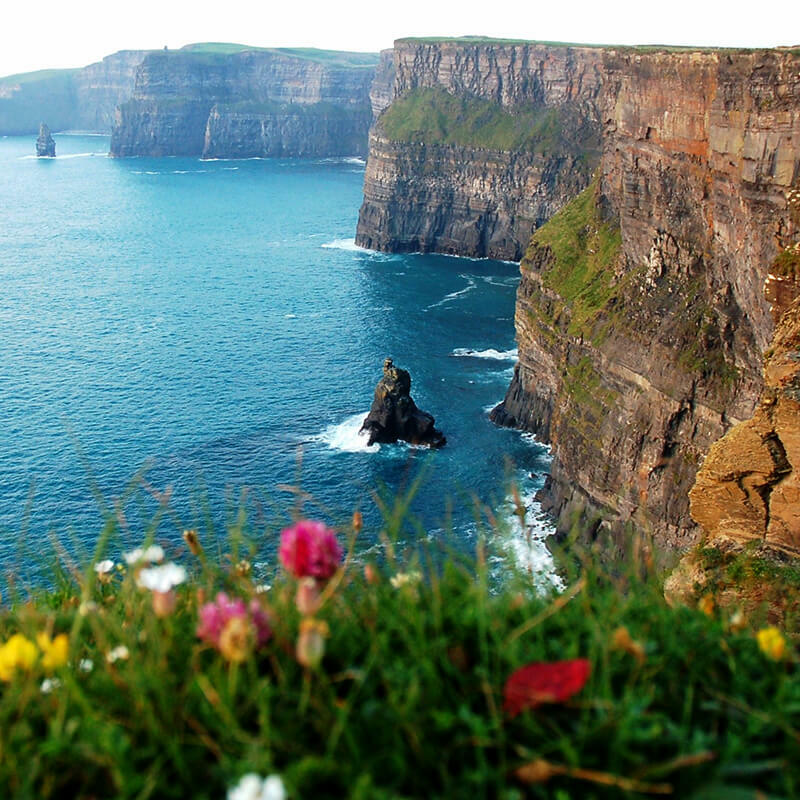 The Cliffs of Moher in Ireland’s County Clare are as much a water phenomenon as a land one. The waves that smash into the cliffs are scarily magnificent—just ask the big-wave surfers who dare to confront them. Fun factoid: So many seabirds nest here—between 30,000 and 40,000—that they have their own festival. Galway is where Ireland becomes more Irish. 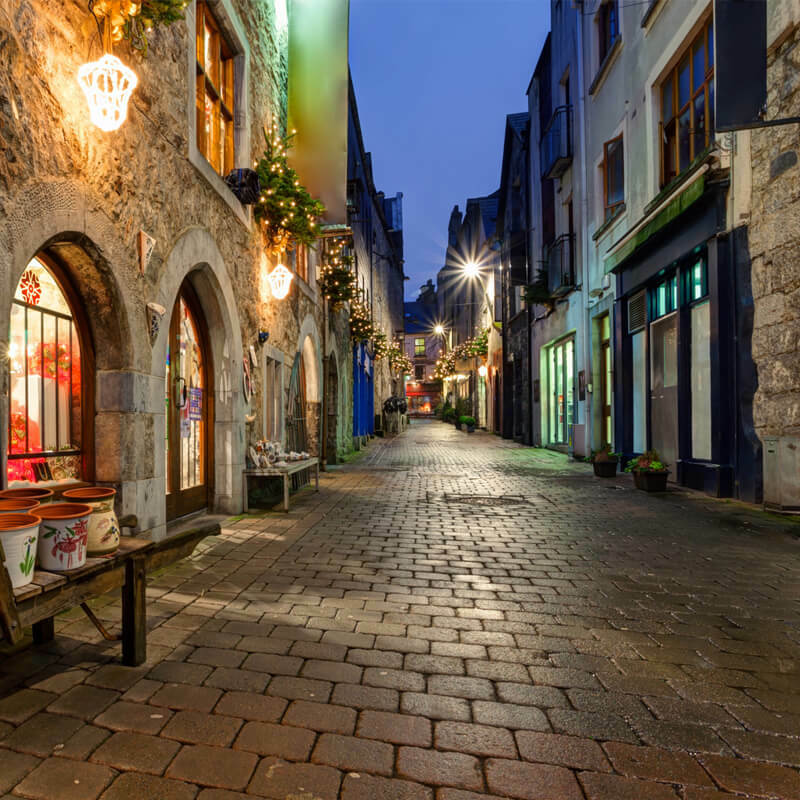 This city in the west of Ireland is where you’re more likely to hear conversations in the traditional Irish tongue and experience traditional dance and music. The cobblestone streets of the medieval town have yielded the ruins of a banquet hall. Galway is called the City of the Tribes, with the names of the 14 tribes immortalized on the city’s roundabouts (aka rotaries). The name to know for night life is the Latin Quarter, where it thrives. Fun factoid: The city’s 16th-century Spanish Arch gives a nod to the Spanish merchants who traded their wines here. The capital of Northern Ireland is also ground zero for construction of the Titanic. Relive the story at the city’s Titanic Quarter visitor center. Belfast’s St. George’s Market is considered one of the best in the U.K. Other attractions include Belfast Castle, the Grand Opera House, and the Ulster Museum. From 1846 to 1996, the Crumlin Road Gaol was what its name states: a prison. Today, concerts are held here, and tours are available. Fun factoid: The building that houses Parliament is 365 feet wide, one foot for every day of the year. Imagine how cool it will be to see some of the “Thrones” locations, and then go back and watch the series again to try to spot them. 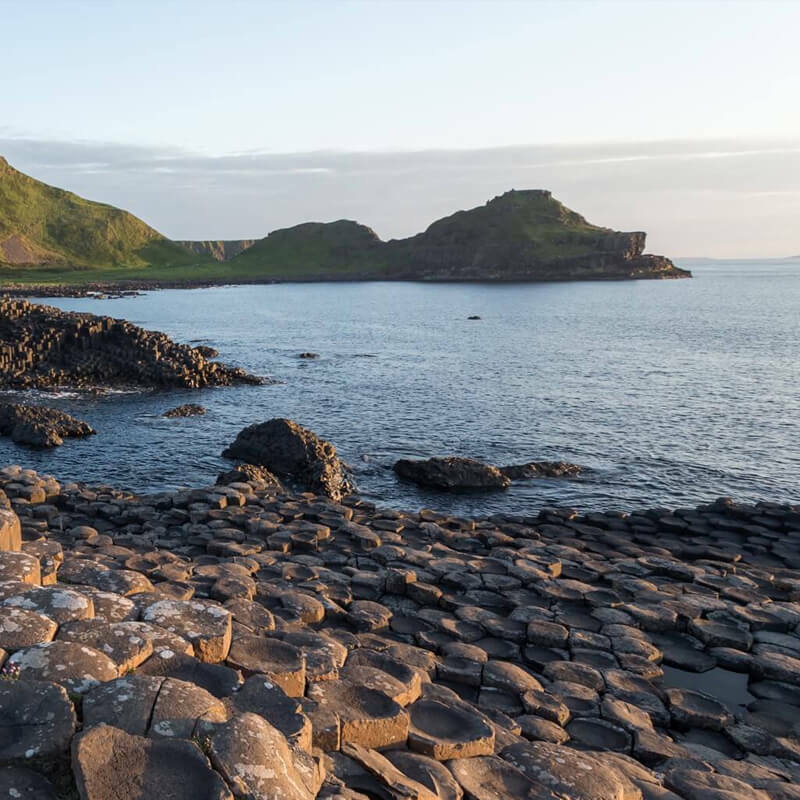 The stunning symmetrical columns of rock on Northern Ireland’s Antrim Coast have been around even longer than Daenarys Targaryan and Jon Snow. They are volcanic formations carved out 60 million years ago. At least, that’s one explanation. Another is that a giant named Finn McCool did the carving himself. Who’s going to argue with such a mc-cool myth? Fun factoid: Finn McCool’s height was said to have been 52 feet, 6 inches.